Design Presentation is a one-stop-shop for all of your CAD Conversion needs. We can convert any scanned CAD drawing to a perfectly accurate, multi-layer electronic CAD drawing (in any format including DWG, DXF, PDF etc.). Design Presentation has in-house expertise for all forms of CAD conversion (also known as CAD format conversion, blueprint conversion and vectorization of CAD drawings). Our unique CAD conversion techniques can make your engineering, plumbing, electrical, HVAC, or architectural designs look professional and accurate. We are experts in the conversion of all types of data from one format to another. Design Presentation can transform your documents from MS Word, PowerPoint, or Excel into compact, easy-to-use, accessible and searchable PDF files. We can transform PDF data into any desired format, including HTML, SGML, XML, DXF, Word, Excel, INDD, AI and CDR. 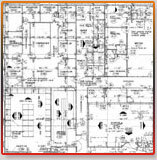 We can also convert your electronic CAD drawings (AutoCAD, MicroStation and VectorWorks) into various formats. 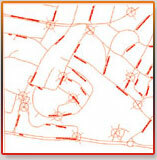 We can also extract the images from PDF documents to any standard image format. Since we create the drawing as a new file, you can edit the final output, which can be in DXF or DWG format or any other format that you specify. We can create as many layers as you require and generate separate layers for dimensions, text, body, hidden lines and centerlines. We separate the text and put it in a separate layer, where it’s recognizable as text. We use blocks for different entities (doors, windows, plumbing fixtures and electrical fixtures). We know how to perform format conversion services in the most efficient manner. 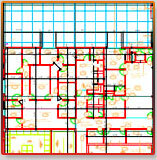 We will give you the best format conversion results, including CAD conversion, at very competitive prices. If you approach us with your CAD projects and drawings, we can process them and send them back to you overnight or even sooner. 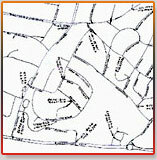 DesignPresentation can also convert hardcopies into electronic documents. Just click on the link, upload the CAD drawings that you want to convert and we’ll get your converted CAD file back to you quickly. Email or fax us your requirement today. Design Presentation can also convert hardcopies into electronic documents. Just fax or FTP your document to us, and we will convert into any format, including word, AutoCAD, excel, PowerPoint, etc.